Whether you consider them a crossover, small SUV or something in-between, the advent of the car-based SUVs in the late 1990s brought tons of flexibility, styling and performance to consumers looking for alternatives to station wagons or truck-based SUVs. Today there are more than a dozen different models with varying size, power and capabilities. Trying to save a few bucks and get a great deal on a used small SUV, however, it makes sense to take a look at what the experts have to say regarding the best ones out there. This list of the top 3 best used small SUVs is compiled using several sources. Primary is Consumer Reports “Best of the Best” list covering the most reliable used vehicles in a 10-year span from 1999 to 2008. Data for the list came from the magazine’s Annual Auto Survey, which included responses on more than 1.4 million new and used vehicles. Edmunds.com is another source used for evaluation purposes, especially their comments relative to each small SUV. Since safety is so important, the ratings from the Insurance Institute for Highway Safety (IIHS) and the National Highway Traffic Safety Administration (NHTSA) are also considered. Toyota RAV4 – Consumer Reports names the RAV4 as the “Best of the Best” in small SUVs. 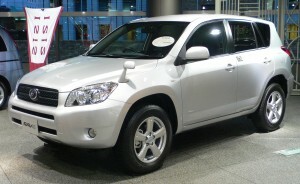 Introduced in 1996, the Toyota RAV4 was the first of the car-based SUVs. Although the initial offering was “agile and comfortable but small and underpowered,” according to Edmunds.com, when it was redesigned in 2001, RAV4’s 2.0-liter engine got a power boost to 161 horsepower. Electronic stability control (ESC) didn’t come until 2001. In 2004, an anti-skid traction control system and antilock braking system (ABS) became standard. In 2006, RAV4 offered an available third row. Consumer Reports says, “Throughout its life the RAV4 has had stellar reliability.” Overall, Edmunds.com says that RAV4 possesses “favorable on-road manners, good ergonomics and a high level of quality even if that comes at the expense of macho styling and off-road prowess.” The RAV4 is best for young families and urban singles looking for a cross between a car-like station wagon and truck-based SUV. In safety ratings, the RAV4 has enjoyed high ratings in NHTSA’s frontal, side impact and rollover testing (5- and 4-stars). Rollover testing was not done from 1997 to 2000 and 2004-2005. In 2001 to 2003, RAV4 received only a 3-star rollover test rating from NHTSA. IIHS named the 2009 RAV4 as one of its Top Safety Picks, earning its highest rating in front, side and rear crash protection, as well as offering ESC. Edmunds.com’s True Market Value (TMV) pricing lists used RAV4s going for a low of $3,494 for a 1996 model to $21,106-$26,655 for 2009 models. Honda CR-V – Introduced in the late 1990s, the Honda CR-V, now in its third generation, is listed among “Other good choices” in Consumer Reports “Best of the Best” in the small SUV category. Edmunds.com says the CRV “is one of the best choices available in the all-important areas of on-road drivability and practicality.” Edmunds likes the CR-V’s sensible cabin layout, ample cargo capability, agile handling and exemplary crashworthiness. Cons include the editors’ opinion that CR-V is underpowered, has “elevated” road noise, and the transmission lacks manual mode. True enough, the CR-V has only one available engine, a 166-hp 2.4-liter inline 4-cylinder – whereas competitors (like the Toyota RAV4) have larger V-6 offerings. In NHTSA testing, CR-V has been impressive throughout its lifetime, with front, side and rollover ratings in the 5- and 4-stars for all years except 3 stars in rollover testing for 2001-2003. 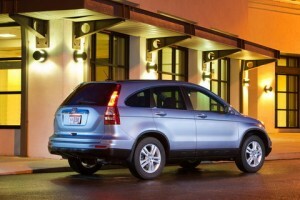 IIHS named CR-V as one of its Top Safety Picks in small SUVs for 2007, 2008 and 2009. According to Edmunds.com TMV pricing, used CR-Vs range from $4,565 for a 1997 model to $19,837-$27,156 for 2009 models. Subaru Forester – Also listed as one of Consumer Reports “Other good choices” in its “Best of the Best” small SUVs, the Subaru Forester is another of the compact crossover SUVs that emerged in the late 1990s. Edmunds.com calls the Forester “essentially a tall wagon with AWD” (all-wheel drive), with rugged style of a traditional SUV with carlike ride and performance. Based on the Impreza platform, Forester has the same AWD as other Subaru models. 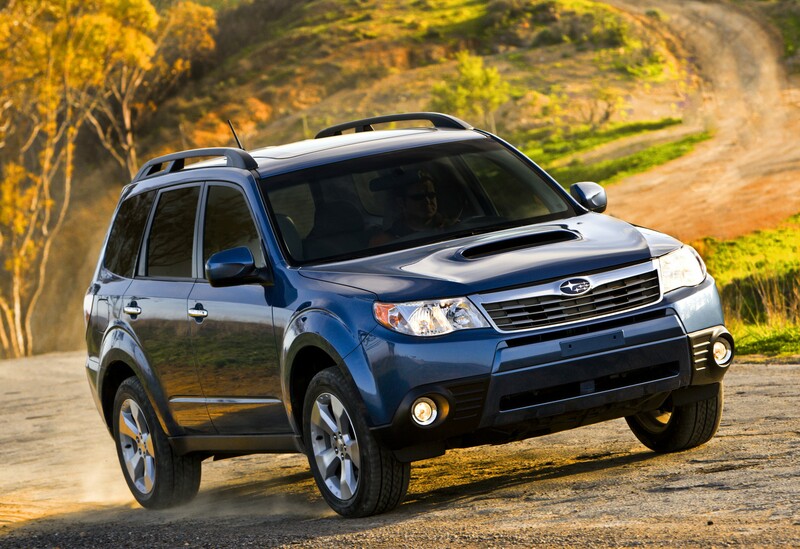 Redesigned for 2009, Forester is powered by a 170-hp 2.5-liter 4-cylinder engine with either 5-speed manual or 4-speed automatic transmission. Overall, Edmunds says “With a comfortable cabin, ample cargo space and lots of available equipment, the Forester stands up well to best-selling competitors from Honda and Toyota.” IIHS named Subaru Forester as one of its Top Safety Picks in small SUVs for 2007, 2008 and 2009. NHTSA testing shows similar excellent crashworthiness, with 5-star ratings for front, side and 4 stars in rollover testing from 2004-2009. Rollover scores were 3 stars in 2001-2003. 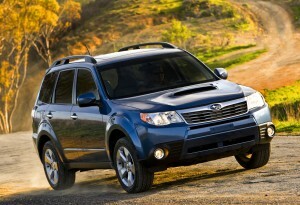 Edmunds TMV pricing shows used Forester’s available for $3,875 (1998) to $20,124-$29,501 for 2009 models. Naturally, there are other small SUVs worth a look, including the Mitsubishi Outlander, Volkswagen Tiguan, Nissan Rogue, Mazda Tribute, Ford Escape, Mercury Mariner and Chevrolet Equinox. The latter was named by Edmunds.com as the best used small SUV for 2005-2007. Which one is right for you? Do your research. Figure out your favorites, and go for a test drive. Then, make your best deal.